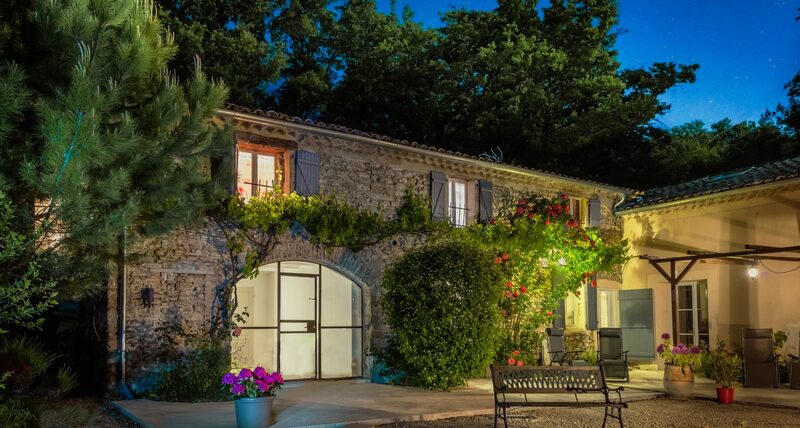 Recently renovated by owners, Mark and Tracey, Les Beaux Chenes, a traditional stone-built Provencal ‘Mas’, with a large swimming pool and set in 4 hectares of private woodland, offers 3 self contained gites. A beautiful location for a relaxing holiday in the undiscovered Drome-Provencale, Southern France. The owners live in the adjacent property and are happy to be on hand to offer advice or to leave you in peace! English and French spoken. 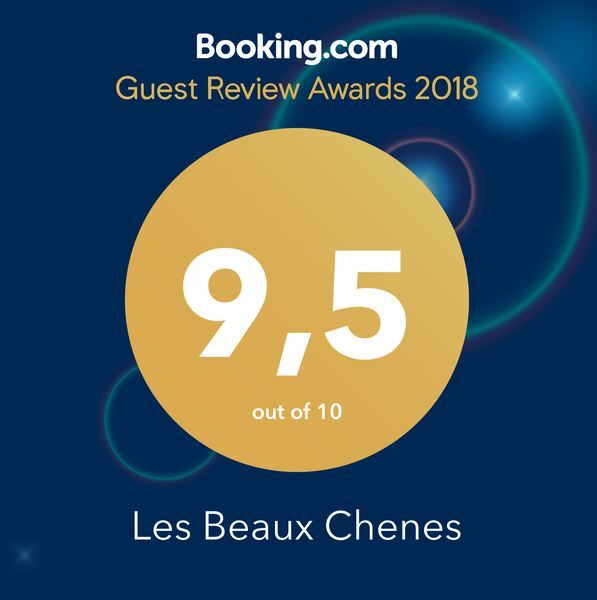 “We have just returned from a wonderfully relaxing 10 days at Les Beaux Chenes . Tracey and Mark are such attentive and helpful hosts , fully committed to making sure their guests’ every need is provided for . 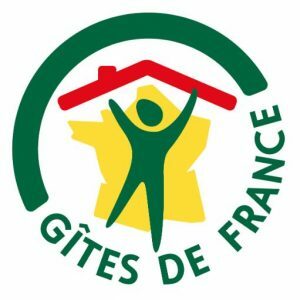 The gites are carefully designed , comfortable and very well equipped – and we slept so well ! The area is charming : quiet and un-touristy , with so many places to visit , walk and cycle . If you want a place to recharge , this is definitely it . 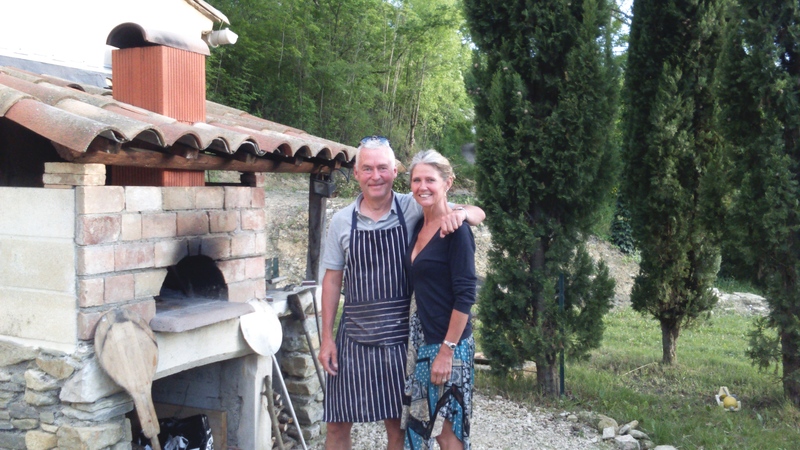 “Paul and I wanted to tell you how much we enjoyed our holiday at Les Beaux Chenes in August. 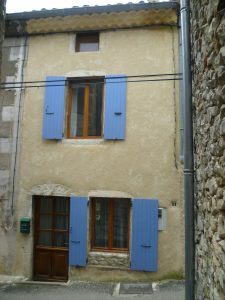 The setting is beautiful and so unspoilt and you have made the gites comfortable and practical for the holiday maker. 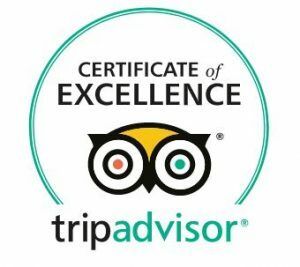 Thank you for your warm welcome and times you took to share ideas for places to visit and places to eat. We were so fortunate that Peter, Nancy, Dieter, Debbie and Mare were also there. It was great how we all got on so well. We loved the donkeys, Maurice, the cats and all the chickens!! We have talked to so many of our friends and family about our holiday and we keep on remembering things that we enjoyed.